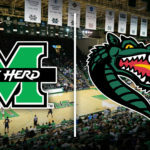 The Marshall Men’s Basketball team completed its first of two trips to the state of Texas with a 74-65 win over the UTEP Miners. The victory in El-Paso came on the heels of an 81-77 loss to the UTSA Roadrunners where coach Dan D’antoni was displeased with his team’s effort. The team’s effort was much better Saturday night against the Miners especially on the glass. In Thursday’s loss to the Roadrunners the Herd was outrebounded 54-35 and 20-4 on the offensive end. 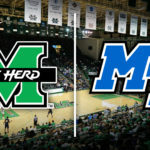 Against UTEP the story was different as Marshall matched the Miners on the glass 37-37 and 7-7 on the offensive boards. 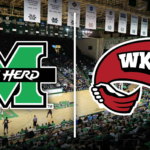 Juniors Jon Elmore, Rondale Watson and Ajdin Penava grabbed seven caroms each and all nine Herd players who entered the game secured at least one rebound. 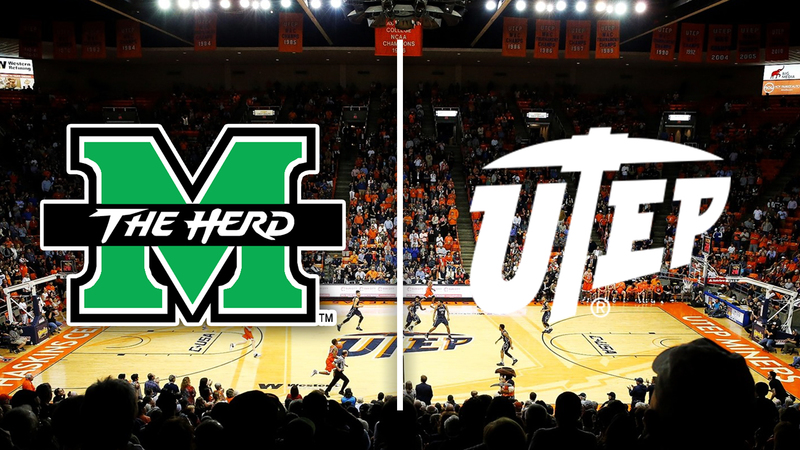 The Herd’s defense was better as a result of the better effort on the glass as well as it held UTEP to just 65 points after letting its last two opponents score in the 80s. Offensively the Herd was led by Elmore who poured in 22 points and appeared to find his outside shooting touch in Texas nailing nine treys combined on the road trip. C.J. Burks and 16, Penava finished with 15 and the Herd improved its record to 15-8 overall and 6-4 in Conference USA. 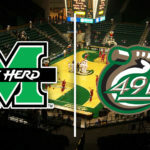 Marshall will return to Huntington on Thursday, Feburary, 8 for an 8 p.m. tip-off against Florida International before hosting the Florida Atlantic the two days later. After that the Herd will then venture back to Lone Star State for another two game swing against Rice and North Texas.